Verizon Moto X Developer Edition Now Back in Stock! 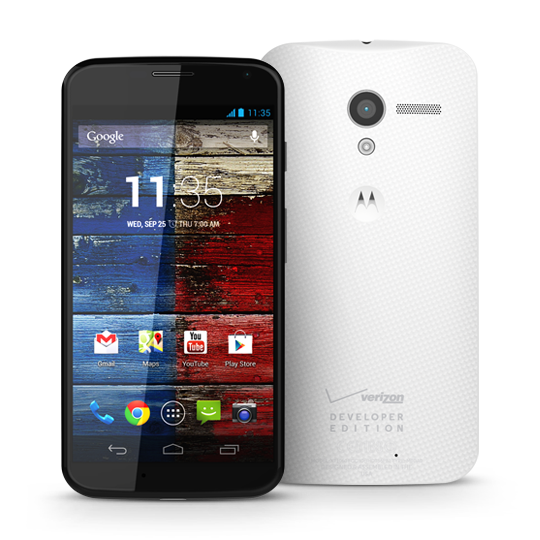 The Moto X Developer Edition that works on Verizon’s network, is now back in stock through Motorola’s online shop. The device still runs $649.99, but that of course gets you an unlockable bootloader, 32GB of storage, and the snazzy two-tone black and white paint job. The first time the VZW variant went live, we saw it sell out within a couple of hours. If you have been waiting for new stock to arrive, now is your chance. Go jump on it. And if you haven’t yet, be sure to check out our first look of the device in the wild, thanks to a reader. GSM version is available as well. Verizon Currently Allowing You to Upgrade and Keep Unlimited Data?